The 121st edition of Balestro del Girifalco, Massa Marittima’s crossbow tournament will take place this summer on August 14. The first installation of the bi-annual competition took place on the last Sunday of this past May. Roughly 24 crossbowmen participate in the competition, with eight archers representing each of the “Terzieri,” the three zones that have made up Massa Marittima since it was declared a free city. 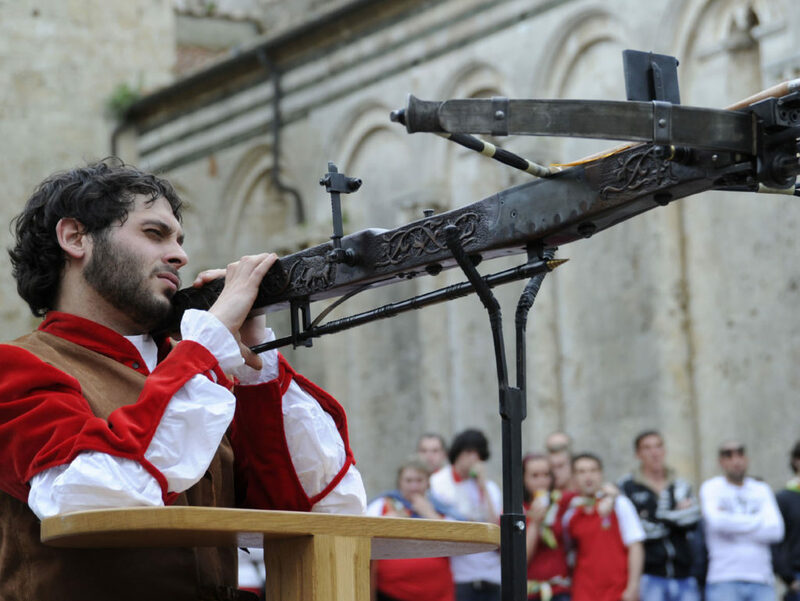 The crossbow has a long history in Massa Marittima, and as such its usage in competitions is similar to that of the modern-day Balestro del Girifalco. The contest begins with a parade of 150 participants, each dressed in meticulous imitations of medieval costume in the Terzieri colors. In this vibrant display, the representatives of “Cittanuova” don white and red; those of the “Cittavecchia” opt for a simpler, black-and-white palette; the Borgos stand out in blue and yellow. The parade ends in the town’s central Piazza del Duomo, home to the Cathedral of San Cerbone. After a flag display by the Terzieri, the competitors shoot their arrows with medieval Italian crossbows, built to be exact copies of their 15th century counterparts. Each bow consists of two main components: a wooden axis with a pull mechanism and sights, and a steel arch strung across with fiber rope. The taught rope loops around a rotating cylinder, so that when the bowman pulls the trigger, the cylinder releases the rope and the arrow flies. The crossbowmen aim at a target placed nearly 120 feet away (36 meters, to be exact). However, it isn’t in the traditional ringed circle popular in archery today, but a simple wooden “Corniolo,” a conical-shaped piece of wood only 13 cm wide. The center of the target is a smaller, three-centimeter circle. This apparatus is fitted onto a wider black painted disk, which is mounted on the “Girifalco,” a banner emblazoned with a swooping falcon. 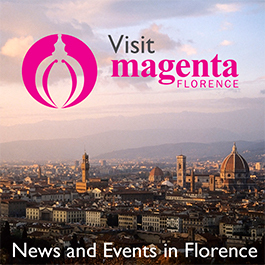 Typically, a renowned artist will paint the patron saint of Massa Marittima, San Bernardino, on the Palio. At the May competition, Sabrina Taddei, an artist with solo shows of her work around the world, won the honor of decorating it.